For all the reading I did during the class we created reading log. Below is my first reading log I created. 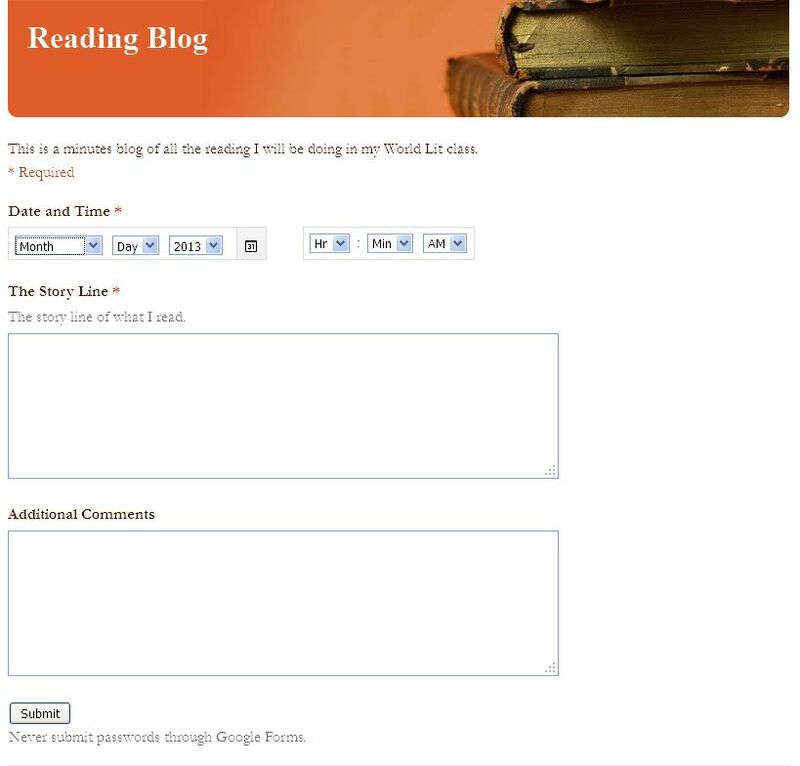 Below is the form for the first reading log. I improved my form during the middle of the class and below is the form for it (I don't have a picture of the form).